The director of It didn't have to look far for one of the significant roles in his upcoming Hulu adaptation of Locke & Key. Deadline reports that Andy Muschietti has recruited Jackson Robert Scott to play one of the young leads opposite Frances O'Connor in the upcoming horror/fantasty adaptation of the IDW comic by Joe Hill. Carlton Cuse (Lost, The Strain) will executive produce and serve as showrunner. Written by Hill and directed by Muschietti, the story centers on three siblings who move to their ancestral home in Maine after the gruesome murder of their father. Accompanied by their mother Nina (O'Connor), they come to learn the houe has magical keys that give them special powers and abilities. However, there's also a demon who wants the keys, and that's never good. 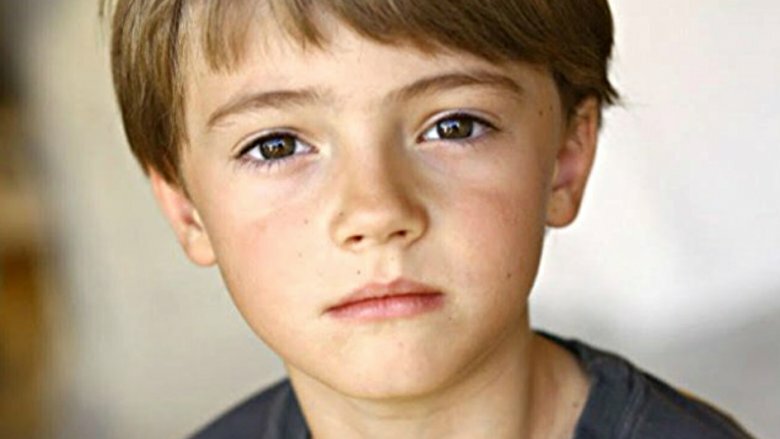 Scott will play Bode Locke, the youngest member of the family. Described as optimistic and imaginative, Bode is especially tuned to the supernatural aspects of Keyhouse and also vulnerable to the evil that's after his family. The young actor plays Georgie in the upcoming adaptation of Stephen King's It, and he's also had parts on Fear the Walking Dead and Criminal Minds. Until we hear more, take a look at some comic book movies that almost happened.